Epoxy flooring, also known as epoxy resin flooring, has industrial and home applications. It can be used to protect flooring, or fix flawed flooring, in warehouses, shipping and receiving, or showrooms. This flooring choice is common in industrial or commercial locations, but is often overlooked or never even considered for home use. However, the final finish of epoxy is seamless and has a shine to it that really increases the high-end look of the room. As the industrial style is more often brought into homes and luxury apartments, epoxy flooring starts to gain a specific appeal. Add to this luxury aesthetic the ease of cleaning and maintaining these floors, and you may want to consider epoxy flooring. 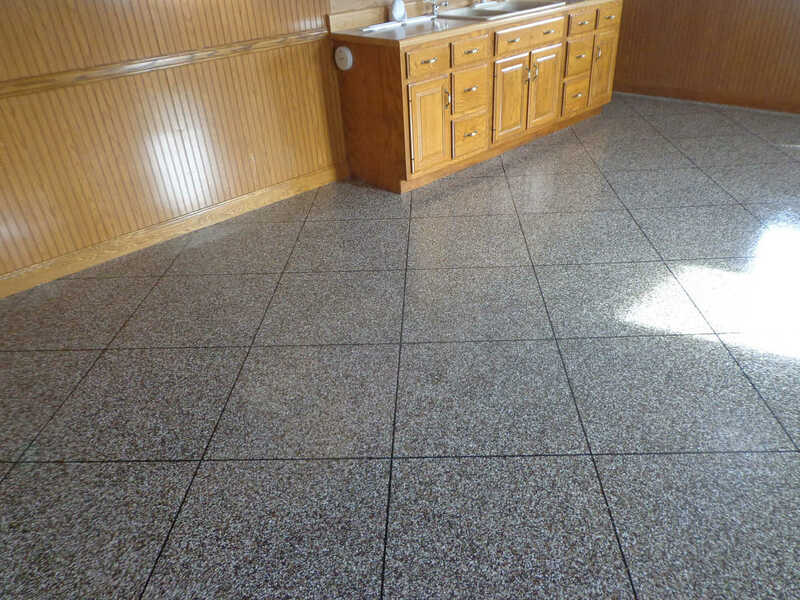 Imagine how great an epoxy stone, aggregate, or pebble flooring would be in your entry, laundry, or even kitchen to provide a durable that looks great too. What In the World is Epoxy Flooring? If you have a hard concrete surface that you want to protect, then epoxy flooring can be the answer to your prayers. Not only is it an inexpensive way to mask any flaws, but it also creates a safe and durable surface for your chosen area. Epoxy itself was first used in aerospace facilities back in the 1950s. With all of the advantages to this DGEB A/F Epoxy Resin, Polyoxyalkyleneamine, and silica sand blend, the uses have multiplied over into the electronics industry and flooring. Because epoxy floor covering works well to resist water and other materials, it is most often seen as industrial/garage epoxy flooring. Easy to keep clean and tough under pressure, this floor covering is non-flammable, which is a great advantage when working in extreme conditions. Some manufacturers have found ways to incorporate epoxy into wood flooring as well — to ensure that fires are limited should they start. This has found a lot of takers especially in places which are prone to accidents caused due to fire. For instance, there has been a spike in the number of restaurants that have opted for epoxy flooring in the last decade or so. The numbers are set to rise with it gaining more popularity. Don’t let the idea of industry scare you off though, decorative epoxy covering is available, with the ability to create aggregate, pebble and resin flooring with the epoxy fillers. Since it’s such a good adhesive, these mixtures perform quite well in home decorating durable and attractive. 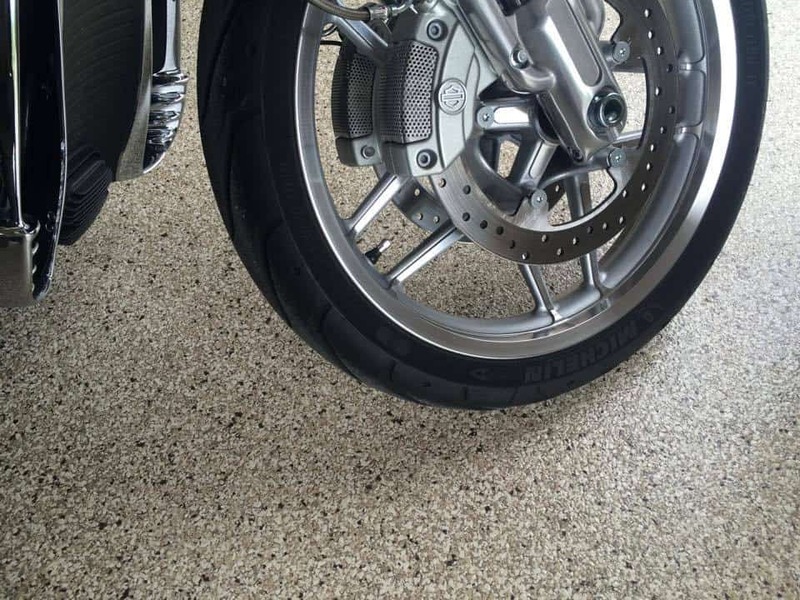 It's arguably the best type of flooring you can use for your garage for those reasons. If you are considering renovating your home in the near future, it would be a good idea to check out epoxy flooring as well. Better still, you can ask your friends or relatives or do some online research to get first hand opinions from those who may have already gone for this durable, modern flooring finish. When trying to select a flooring from the countless options available out there, it’s smart to start by weighing the pros and cons. Every flooring has advantages and disadvantages. The right choice for your home, your lifestyle and your room in particular is not going to be the same as for others. Make your list of wants and needs and compare them with the following pros and cons of epoxy flooring to see if this could be the right choice for you! Strong adhesive properties: This means the flooring won't peel up or chip overtime. Chemical and liquid resistance: Chemical spills won't damage the epoxy and this flooring can stand up to a lot of different kinds of messes, making it a fantastic choice for restaurants, gyms, kitchens, and work spaces. Doesn't shrink: once the epoxy has cured, it doesn't flex with changes in temperature or humidity. Durable: The strength of epoxy flooring is one of its greatest attributes. You can drop weights on the flooring or drive a car over it and it will not chip or crack. Non-flammable: Due to the non-flammable nature of epoxy, it has become a great choice for restaurants and kitchens. Some companies have even started mixing epoxy with other flooring materials to attempt to reduce the flammability of the flooring. Easy to use: Chemical and liquid resistance mean you can use anything to keep the floors clean and well maintained. Epoxy flooring is naturally shiny and, so, basic cleaning will keep them looking fabulous. The curing process requires that the area be unused for at least twelve hours (or in some cases, even longer) after application. Chemical compounds may cause irritant and/or allergic contact reactions. How is Epoxy Flooring Installed and Maintained? Can I Install it Myself? One of the greatest advantages to decorative epoxy flooring is that it is applied as you would apply paint to the floor. The epoxy is brushed on (after a primer coat, of course) and left to dry. T﻿﻿he video below shows the entire process of applying a luxury epoxy coating to concrete flooring by a professional. The initial hardness can be felt at twelve hours after application, and at twenty four hours, you’re able to feel the real strength. Over the course of the week, the total strength and firmness will be evident. Owing to the above, in most cases, you wouldn’t need an expert to do that for you. Most people can do this on their own if they have an understanding of floor painting and the necessary equipment. However, if done incorrectly, the main appeal of epoxy-it’s seamless shine-can really fail. For this reason, I strongly recommend you hire a contractor who is familiar and experienced with epoxy flooring installation. Regardless of who does the install, it is strictly advised that the floor is not used before at least 24 hours for best results. And in the industrial arena, these are well worth any initial investment. While this finish is strong and durable, it is not infallible. Epoxy can be scratched and may yellow over time, especially in an area exposed to a lot of sunlight. The seamless look makes it more difficult to make small repairs and damage is not easy to hide. And here are some technical facts about epoxy finish: the bond strength (ASTM C-882) is 2110 p.s.i., which is much stronger than any other floor covering. Its flexural strength, or ability to move without breaking, (ASTM C-580-68) is 6,075 seven days after application. The compressive strength (ASTM D-695) is 9,910 p.s.i. — extraordinarily high, and though it shouldn’t be a shock, the hardness, Shore D, is 65 in the 24 hours after application and goes up to 75 in the 7 days after applying. Even if you don’t know what all these numbers mean, you should be able to understand that epoxy is well worth the time that you can’t walk on it. Most traffic needs to be curtailed for at least twelve hours after application. The longer you wait the better. Scheduling the epoxy flooring for a holiday or a Sunday is definitely the better choice owing to the low traffic or footfall. Where Would You Put Epoxy Flooring? I shy away from recommending epoxy flooring in kitchens or other main areas of the home. Because the curing process takes place in the location where the epoxy is applied (as opposed to any kind of prefabricated flooring which is cured in a strictly controlled environment), there are many factors which are difficult to control and can have a negative effect on the final flooring. Temperatures, humidity levels and even insects can impact the final product. For this reason, limiting the locations for this flooring to areas that are easier to control is the best way to ensure you’ll be pleased with the final result. I am also not convinced that outdoor applications are the best place for epoxy, as any flaws will be easier to see in the sunlight and yellowing will happen more quickly. I really see epoxy flooring as the right choice if you are more than just a hobbyist. If your gym is where you spend a lot of your time, if it’s a part of your life, a room you care about, and somewhere you want to be not just functional but truly a conversation piece, epoxy flooring is the right choice. 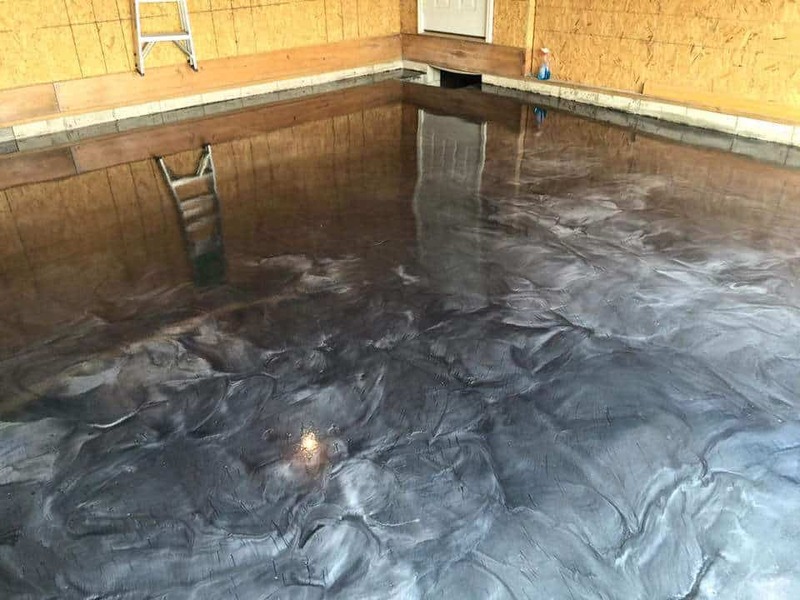 Similarly, if your basement or garage is your sanctuary and you want to elevate the beauty so that the room feels like a high end luxury showroom, epoxy flooring is going to be a smart decision for you. If you have an area that needs to stay tough, like a garage, driveway, or carport, seamless epoxy flooring is one great way to go. It is also finding increased application in gyms and other places that witness regular physical activity. For durability, attractiveness, and ease of application, decorative epoxy flooring is a very interesting option. I am looking to do a “pebble” type of floor in my bathroom, but I know the downfall of grout in a bathroom after several years have passed. I’d like to put something like a thin, clear acrylic over it. Any suggestions? Thanks for listing all those tips Steve! What kind of pebble type flooring are you referring to – something along the lines of Epoxy Chattahoochee? It’s usually covered with something along the lines of Rock Glaze – a urethane product that is specifically formulated for sealing the new pebble/epoxy floor. one to two hours to remove all the coating. Acetone can also be tried as well as commercial “cured-epoxy dissolvers” – they’re both dangerous to use too. Dynaloy has developed a line of safe, effective epoxy solvents specifically for the removal of cured and uncured epoxies (according to their website). You can view the products and MSDS sheets at the link provided. You can also use an abrasive to remove it, with dust mask & proper ventillation of course. Good luck! Why would an epoxy floor be put in a daycare center kitchen that is only used for distribution of food items. Food is catered in. Isn’t it quite a bit more costly? How much so? Epoxy floors are super durable for starters and easy to clean. For such light traffic as you’re referring to, the floor could very well last the lifetime of your business. I don’t know if it would be more costly, mainly because I don’t know what other options you are considering — more costly than *what*? floor and floor heating central heating.have you noticed any disatvantages? I have not noticed any problems personally. Epoxy is super durable and resistant to just about everything. I have no idea what product you are using. You need to follow the manufacturer’s instructions. If it doesn’t suggest what to use, you should check out their website or give them a call. We have off-white porceline sp? tile with antique white grout in out kitchen…horrible mistake, as the floors look dirty all the time and this is a high traffic area. My husband is not in favor of ripping it up and putting down a more dirt- concealing vinyl alternative as I would like. Is it possible to do an epoxy flooring coat over the existing tile? I’m not really sure if epoxy would adhere to tile well. If you’re really set on vinyl, I’d suggest just grouting the tile to make it more even before laying the vinyl. Actually, I’d recommend linoleum as the colors go all the way through the material, rather than sitting just on the surface as with vinyl. Do you have a good sealer on your tile & grout? If not, I think you’ll find that it works wonders! Porcelain is rather easy to maintain so long as it’s been treated properly first. Cleaning is a subject that has been addressed previously, you can use the search function in the upper right hand corner and look for vinegar microfiber – you’ll get some handy tips to make cleaning your porcelain floor easy! Good luck! Hi Flooring Lady, Actually there is an epoxy flooring by Everlast Epoxy that does adhere to tile. It is made from natural marble chips, and would be a nauural stone-looking alternative to tile. It could also be used to overlay the tile in a shower to seal it up where there is water leaking problems. I have an Irish Pub that has 3/4 red oak flooring. The poly finish keeps coming off after 3-4 months. I am looking for a finish that will stay on the floor, resist liquor/beer spills, and stays shiny. I don’t care about a smooth household finish, just want something that is iron clad. What do you suggest that I use? Epoxy – what kind? You could try a clear epoxy (any kind). Have you tried Diamond Coat Varathane Polyurethane? You really need to be sure to use several coats and make sure the floor is clean (free of grease especially) before you apply anything. Hi Shane, I would have to suggest Googling for that because I wouldn’t know where to direct you about that. I want to paint our unfinished basement floor with an epoxy paint. The house is ten years old and the basement has never had a moisture problem. The concrete floor is not in great shape – rough in some areas and even chalky/dusty in some spots. Should I use some type of sealer first or just clean the floor and paint? Do you prefer a certain brand of epoxy paint? Thank you for your help.